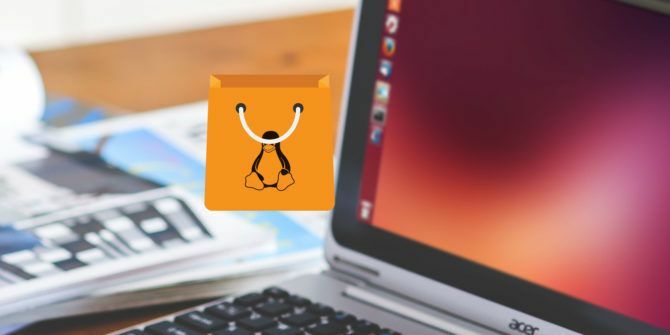 Linux App Stores Compared: Which One Is Right for You? macOS users have grown accustomed to getting software from an app store, just like they do on their phones. Microsoft is trying to make the same shift on Windows. Linux doesn’t need to make a change. There, getting apps from a single place has long been the norm! There’s no one operating system called Linux that you can install on your computer. Instead, you download Linux distributions that each do things a slightly different way Distro Indecision: A Cheat's Guide to Choosing a Linux Distribution Distro Indecision: A Cheat's Guide to Choosing a Linux Distribution This guide is all about how to pick the right distribution, and how to test them before you actually commit to using it, arguably one of the most difficult steps in getting into Linux. Read More . That means there’s no one app store you will encounter in the Linux world. Many Linux distros shy away from the term “app store,” since the vast majority of programs on Linux qualify as free and open source software Open Source vs. Free Software: What's the Difference and Why Does It Matter? Open Source vs. Free Software: What's the Difference and Why Does It Matter? Many assume "open source" and "free software" mean the same thing but that's not true. It's in your best interest to know what the differences are. Read More . The apps you download aren’t products for sale, but free programs you’re welcome to use as you wish. Developers think of the software as packages. These are stored on servers referred to as Linux repositories (“repos” for short). The programs that access these repos to download packages and updates are called package managers. App stores weren’t born on mobile devices, and some distros have played with the concept for years. But smartphones have made this experience common, and many more distros are now making an effort to make package managers resemble app stores. Software has become more discoverable and easy to install for new and old users alike. The options below are four of the most popular. GNOME is one of Linux’s most common desktop environments GNOME Explained: A Look at One of Linux's Most Popular Desktops GNOME Explained: A Look at One of Linux's Most Popular Desktops You're interested in Linux, and you've come across "GNOME", an acronym for GNU Network Object Model Environment. GNOME is one of the most popular open source interfaces, but what does that mean? Read More .That makes GNOME Software one of the package managers you’re most likely to encounter. This program is the default on popular distros such as Fedora and Ubuntu. To point you toward popular Linux apps, GNOME Software highlights one in a giant banner image and lists others underneath. You can dive into categories such as Audio & Video or Graphics & Photography when there’s a particular type of tool you wish to find. Your most likely destination is the search button, especially when you already know what software you need. GNOME Software is also your tool for uninstalling the apps you no longer want. Plus it manages updates, which is what will likely keep you returning after your machine is all set up. 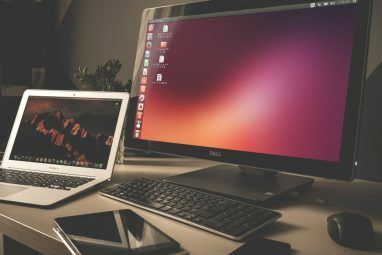 GNOME Software recently replaced Ubuntu’s slow and aging Software Center, 6 Big Reasons to Upgrade to Ubuntu 16.04 6 Big Reasons to Upgrade to Ubuntu 16.04 A new LTS release of Ubuntu means security and stability. Whether you're upgrading or switching from Windows, let's take a look at what's new in Ubuntu 16.04 Xenial Xerus. Read More which was an earlier attempt to provide Linux with a thriving app store-style package manager. Being the go-to tool in a few of Linux’s most popular distros is a sign of this program’s capability. Discover is the KDE Plasma desktop environment’s KDE Explained: A Look at Linux's Most Configurable Desktop Interface KDE Explained: A Look at Linux's Most Configurable Desktop Interface What does Linux look like? Sometimes, Unity; other times, GNOME. Oftentimes, though, Linux runs KDE. If you're not using the erstwhile K Desktop Environment on your Linux PC, now is the time to change! Read More answer to the app store problem. The core concept is the same. Discover is a place to find and manage software. Check the sidebar to search for apps you know and browse categories for those you don’t. In my opinion, the experience doesn’t yet feel ready for primetime. The home page, for example, lists popular apps in a way that feels dated and I find somewhat confusing. One differentiator is the addition of add-ons. You can discover application and desktop add-ons without having to go to a difference source. On GNOME, you must head to a dedicated website instead. That said, KDE users also have the option to fire up a browser and head to store.kde.org. Discover comes with a few more advanced settings, such as showing you a list of the various repos your computer can access. That said, the app is not intended as a replacement for typing commands into the terminal Which Linux Package Manager (and Distro) Is Right for You? Which Linux Package Manager (and Distro) Is Right for You? A key difference between the main Linux distros is the package manager; the differences are strong enough that it can influence your choice of distro. Let's look at how the various package managers work. Read More . AppCenter is a relative newcomer to the Linux world. This app store is meant specifically for Elementary OS It's Time to Try Something New: Elementary OS Loki It's Time to Try Something New: Elementary OS Loki Elementary OS isn't your typical Linux distribution. Some would say it isn't a distro at all. But is Elementary really a usable alternative to Windows and macOS as its developers claim? Read More , but right now it only provides access to what’s in the Ubuntu repositories. Elementary-specific software is absent. That’s set to change. The developers held an Indiegogo campaign to raise money toward expanding what AppCenter can do. The goal is to provide an easy way for app makers to create and deploy software for Elementary OS. The AppCenter will provide access to these apps using a pay-what-you-want-model. You can install software for free, but if you want to show a developer support, consider sending a few dollars their way. Like other app stores, AppCenter lets you search for apps or browse by category, and it provides a single place to install and uninstall software. This tool also manages your updates. If AppCenter seems basic, that’s by design. Even after more features arrive, this will likely remain one of the more simplistic package managers on Linux. Like AppCenter, MintInstall is intended for a specific distro. In this case, that’s Linux Mint. If you want to install apps after putting Mint on your laptop 5 Flavors of Linux Mint 18 You Can Try Today 5 Flavors of Linux Mint 18 You Can Try Today Linux Mint is a distro that has roots in Ubuntu but lots of changes that make it worthwhile. In this article, we explore the five flavors of desktop environment that you can try. Read More , this is what you will see. Mint puts categories front and center. 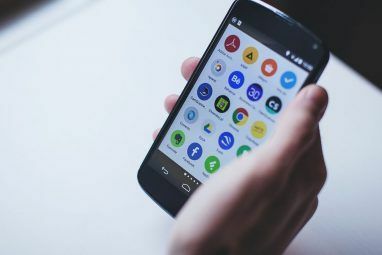 Rather than offering up a dazzling homepage with popular apps, those are tucked away in a Featured category of their own. MintInstall seems to place greater emphasis on ratings and reviews. As a non-Mint user, my first impression is that there’s a real feeling of community surrounding this distro. Another standout is the number of screenshots. This is functionality that all of the other app stores have, but some of them lack images for most apps. On Mint, it seems a safe bet that the more popular apps will have quite a few screenshots. MintInstall feels like a cross between older package managers and newer app stores. Here you can still edit software sources. Plus MintInstall includes the total number of packages available at the bottom of the home screen. That number is currently around 83,000. Don’t sweat. Linux has a number of mature package managers that are much more capable of competing with the terminal How to Install Software on Linux: Package Formats Explained How to Install Software on Linux: Package Formats Explained You've switched to Linux, and want to install some software. But package managers differ depending on your distro. So which apps can you download and install? It's all in the acronyms. Read More . Synaptic is one such tool. Another is GNOME Packages. KDE fans can consider trying Apper. Your distro may have its own specific tool. openSUSE has YaST, and Yum Extender is available for Fedora. Linux app stores let you download bundles of software, which may include many individual packages and components (known as dependencies). Traditional package managers let you see these individual parts. They are great for tracking down a specific program that another one may require but failed to grab. You may find yourself gravitating toward package managers once you’ve used Linux long enough to know exactly what you need, but you don’t want to have to fire up a terminal. Which App Store Is for You? Do you love the layout of GNOME Software? Prefer the sleekness of AppCenter? Maybe you enjoy the simplicity of MintInstall? This question is often settled by the distro and desktop environment you decide to use. But you always have a choice to install an alternative. Do you stick with the default app store or install another? Which one is your favorite? What features would you like to see appear in these app stores someday? Let’s have a conversation in the comments! Explore more about: Install Software, Linux. Mine is pacman and APT. I somehow fail to like Package Managers. I do like the Deepin. However, I couldn't get my "right mouse click" to work anywhere on the desktop. Any ideas? Did you see deepin linux app center? Thanks for a well laid out article. For Centos and Fedora users Yum Extender has been a great bonus. Centos' built in application installer and update manager were cumberdome and thin on basic features such as file size info. Yum Extender ie easy and informative. Yum Extender was new to me. I haven't checked it out yet, so thanks for sharing your experience! And maybe packages.debian.org if I'm looking from my phone or in Windows. That's all the app store I ever use. I find the "store" style ones annoying most of the time. Once you fall in love with the terminal, you really can do away with a bunch of other apps. I use xubuntu on my laptop, but I installed it from a mini CD, so I did a minimal xubuntu install. I love synaptic so that's what I use. I'm glad you found something that works for you! I don't know what its called off the top of my head, but the software center that Solus uses is my favorite so far. I haven't tried Solus yet, but I may go check that out! Yes, if I am in a GUI, I use Synaptic, as well or in text mode I'll use Aptitude (on Debian or Ubuntu based systems). No frills is right, but sometimes that really is preferable. I have been using App Grid for a few years, because I found Ubuntu's store to be too slow. Have not tried the new Gnome strore, since it came out with a few bugs in the beginning. I like GNOME Software. I haven't used it much under Ubuntu, but in general it's so fast and simple. What's actually needed is a community based software center for Linux, BSDs and Minix 3. That they use the same interface; works, looks and operates the same. Has a unified package manager that can be used across all the systems, that understands what system it's on and loads the exact dependencies needed based on that operating system or distribution, no more guess work! to created unified packages and install them into what ever system is asking for them in the correct places, putting in symlinks, etc., so that when you click on the icon to start the application, it's seemlessly works without issue. I don't take issue with difference in the distributions and unicies in general, except when it comes to dependency names, what's in each package, what version is on the system; none of this is unified but it should be. 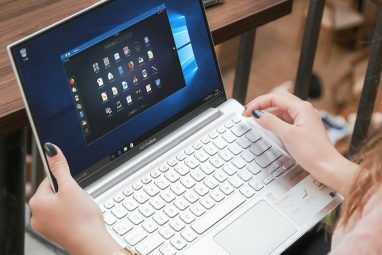 It would cut out the mass confusion for developers writing for different version of Linux distributions and kernels themselves, let alone X-Windows, Wayland, and Ubuntu's Mir. We need to stop the madness right now! If we want to be better than Microsoft, we need unity in the community, we need to work together as a whole, not in splinter groups that believe that x, y, z isn't a viable option in their version of the kernel but have the discussion with the whole community, go by a voting system, then work toward that goal that was the outcome of that large vote. There are way too many distributions of Linux out there to be taken seriously. If you take a web-based approach to providing a software center, the openSUSE Build Service is much of the way there. But as usual with Linux, a solution isn't useful if the broader community doesn't coalesce around it. This is true, I do like the formatting of this Build Service. You're also correct about the problem of people not coalescing around it. It's strange when you think of it, some people are using Linux distributions as an escape to Microsoft's grasp, others are doing it because their paranoid (the least likely to adopt something like Build Service for everyone), those who want freedom but don't rock the boat all that much when it comes to ease of use, making their life easier. There's so much back channel noise coming from those who are paranoid versus those who are in the know and are cautious of coalescence but don't take issue with it for as long as security and coding correctly are at the forefront (which is what it should be to begin with). Perhaps we should start the narrative of coming together as one to make a unified package manager across the unicies? To make this a fairly harmless discussion where everyone is welcome and flaming isn't allowed. Being careful not to flare up or dump high octane gas on those who are incendiary to the movement. You know there will be one or more people that will attempt to derail and destroy the honest conversation because of their own fears and ego getting in the way.